The BSIA has recently appointed Mike Reddington as their new Chief Executive following the departure of previous CEO, James Kelly. Infologue is proud to publish the first press interview with Mr. Reddington which hopes to offer an insight into the direction that he plans to take the BSIA. In trying to help achieve this goal, instead of interviewing Mike Reddington ourselves, Infologue has turned to key security industry figures to find out what questions are most important to the BSIA’s immediate stakeholders. Due to the level of interest and the volume of questions posed by our contributors, we have separated this interview into two parts. Part One of this interview has already been published (to view the first Part, please click here). Q1. How important does Mike see collaboration between security companies and if there is a greater need? How would the BSIA seek to support initiatives set up to achieve this such as the City Security Council, CSSC? MR: I believe collaboration between security companies is critically important in the enhancement and development of the professional security industry. The BSIA facilitates this type of collaboration through its member section meetings where industry standards development and best practice are discussed. The BSIA also works with other interested parties including CSSC, ensuring its member’s input and feedback is shared, whilst also inviting members to participate in meetings with other interested parties. Q2. What intentions do the BSIA have in addressing the skills shortage in the industry? What do they think of the Security Institute’s Next Generation initiative? MR: The BSIA has a training section with a number of leading industry training members and also has its own in-house ‘Skills for Security’ (SfS) division, which is specifically focused on apprenticeships. SfS and the training section members are continuing to develop specific industry related training programmes and making these more accessible to companies and individual candidates who are or want to operate in the private security industry. These initiatives will ensure the industry has the appropriate trained and skilled employees to meet the requirements of the industry in the future and support our growing market. The BSIA is also actively involved with the DWP initiative of ‘Security a Career of Choice’ to increase talent and the number of people coming into our industry. The Security Institute’s ‘Next Generation Initiative’ is also an excellent way of trying to engage young people and graduates into the industry, especially across all the electronic sectors and we would welcome a strong working relationship between the Institute and SfS and our training section members. Q3. Is there a need for better regulation of security companies to ensure that the highest possible standards are achieved across the private sector industry? How could BSIA ensure that security end users understand what good security should look like and thereby promote a better understanding of ACS scores? MR: One of the primary goals of the BSIA is to increase active engagement of existing members and recruit new ones to ensure enhanced development of the private security industry in terms of standards, quality, and best practice. This will be achieved through active engagement and continued participation with relevant standard committees and approval organisations coupled with close working relationships with Insurers, Police authorities and Police and Crime Commissioners. This enhanced quality and service then has to be clearly communicated to both commercial and the general public purchasers, so they recognise the value of choosing an approved security product and service provider. Q4. What role could BSIA play in assuring common training standards especially in counter-terrorism for security personnel? MR: The BSIA provides its members with a vehicle to collectively provide input and feedback on standards, training and potential enhancements within the security sector. We also work closely with the SIA and police authorities in the development of joint initiatives to reduce crime and terrorism. This approach enables BSIA and ACS member companies to share best practice that develops, enhances and progresses the services the private security industry delivers. It is important that we continue to build effective and close working partnerships with the local police authorities in this area. Q5. What is the difference that you will bring to the role? 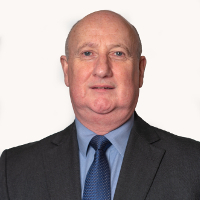 MR: My focus will be to ensure the BSIA remains the leading voice of the professional security industry and that membership of the Association is clearly recognised as the kite-mark for quality and professionalism in the sector. This will be achieved through the BSIA’s continued participation within relevant standards and approval organisations coupled with close working relationships with insurers and police authorities. In addition, I will listen and engage with the members to ensure that I have a clear understanding of their requirements in order for me to best direct the resources of the BSIA to meet and exceed their expectations. Q6. What do you feel is the current perception of the BSIA within the industry, and what do you want people’s perception of the BSIA to be? MR: The BSIA is already recognised at the highest levels of Government as the leading voice of the industry. I will work tirelessly to ensure that recognition is reflected with end users and buyers of security products and services. This will ensure that the BSIA continues to be clearly recognised as the voice of the professional security industry and a recognised kite mark of quality and professionalism for its members. Q7. Do you feel the BSIA offers a compelling enough argument for new members to consider membership? Why should companies join the BSIA? MR: It is critically important for the professional security industry to have a strong industry association and the BSIA can fulfil this role. The BSIA provides its members with advanced notification on standards and legislative changes and provides a vehicle to give collective input and feedback on these changes to ensure improvements and enhancements in the security industry. It also enables its members to develop and share best practice that develops, enhances and progresses the services the private security industry delivers. Membership of the BSIA is also a recognised kite mark of professionalism and quality giving confidence to potential customers that they are choosing a reliable partner for their purchase/delivery of the services they require. In addition, we are actively working with major national insurance companies to look at how end users can benefit by using a BSIA member company. Ultimately, if you want to have a voice on how the industry develops then you need to be a member of the BSIA. MR: The industry needs to continue to develop initiatives that addresses the decreasing labour pool and how we can enhance the knowledge and skills of operators in this sector. Members of the BSIA hold regular section meetings where these types of proposals are tabled and discussed. The output of these meetings is then shared with the relevant governing bodies to effect positive change in our industry. However, the system you suggest could potentially be implemented by you as a provider today, i.e. if a client requires a certain level of protection for their premises and are prepared to pay the appropriate rate there is nothing to prevent your company as a professional security provider demonstrating your capability to meet the requirements of your client. Q9. What is happening with licencing In-House officers? Currently, they have the same powers, roles, etc as contracted officers but no competency or criminality checks, no costs of licencing and are unregulated. MR: Unfortunately, this issue has been a bone of contention since the implementation of the Private Security Industry Act and I am afraid will continue to be so for a considerable length of time as there are currently no plans to change the regulations as it would require primary legislation. Having said that, the BSIA and key industry organisations are working with all the relevant bodies and larger clients who have in-house officers, so they understand their obligations in ensuring the appropriate competency and criminal checks are undertaken. It is also important that members of the BSIA and the industry recognised approval bodies are clearly communicating the benefits and advantages of using an approved company to provide its security for property, personnel and the general public. Q10. What is happening with the Company Licencing? This has been talked about for years but all we remain with is the current minimum standard, zero score, voluntary ACS that is no differentiator. MR: In much the same way as in-house officers has been a talking point so has Company Licencing. This is an issue which we continue to discuss at the highest levels of Government but again would require parliamentary time and primary legislation, which until all aspects of Brexit are sorted out, parliamentary time will not be afforded to this matter. The BSIA will, however, continue to work with its members and the licensing bodies on how we can continue to improve the standards in our industry and provide clear differentiation between approved and non-approved companies. Q11. Why isn’t there a central point where companies can subscribe to carry out searches and vetting of people at any time reducing the amount of time taken to compile the information required to comply with the vetting standard? MR: The BSIA is working with other parties and the licensing bodies to explore all potential improvements in the professional security industry including the potential to reduce the time to complete searches and vetting of potential employees. Discussions on how to achieve this will continue but this initiative will need the commitment from all companies operating in this sector to progress this.